Master Sergeant (Ret.) 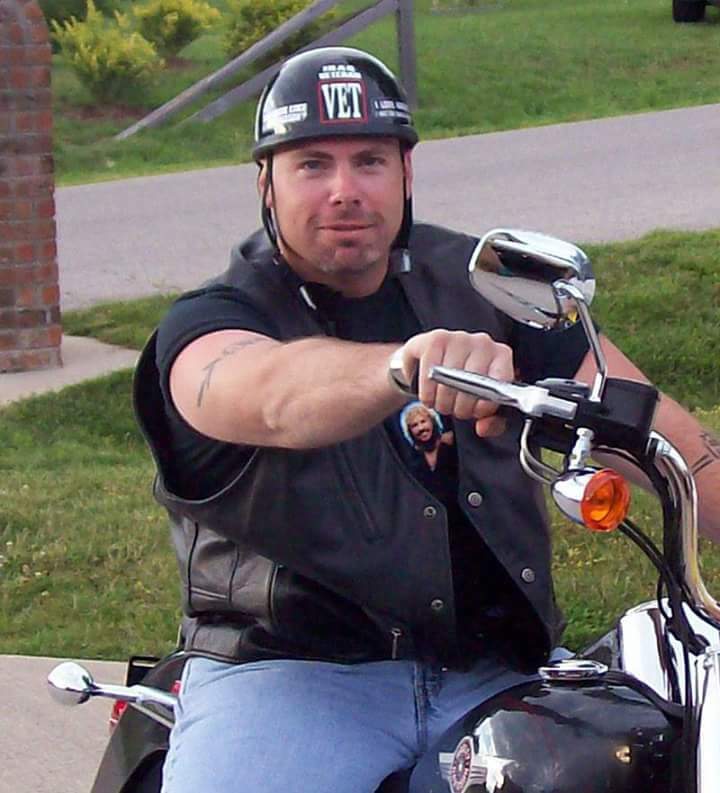 David A. Cookingham Jr.
PINE PLAINS- David Cookingham Jr., 43, of Broadway, NC and previously of Pine Plains, NY, passed away on May 4, 2015. Born on August 8, 1971 in Sharon, CT, he was the son of David Cookingham Sr., and Carol (Clinch) Hart. Dave Entered active federal service on the 26 of February 1991 where he attended One station unit training at Fort McClellan, AL. Upon completing his training he was assigned to the 981st and 212th Military Police Companies in Germany. 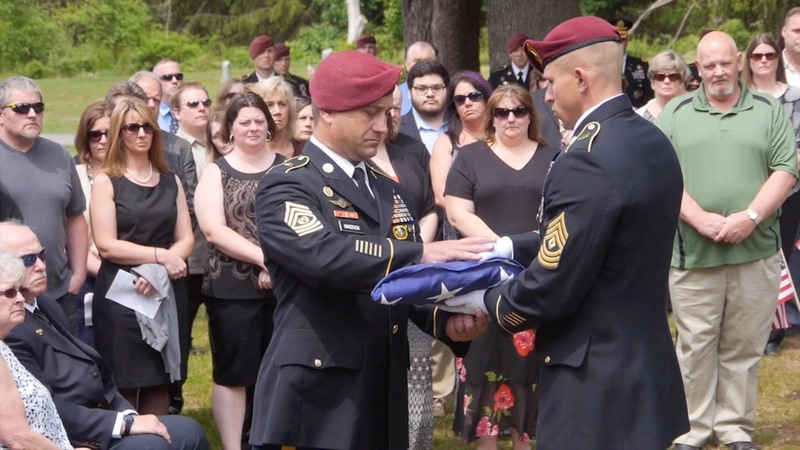 He was assigned to Fort Ritchie Maryland in 1993 but found his true calling in the U.S. Army in 1996 when he was stationed at Fort Bragg, NC and assumed duties as a United States Army Paratrooper. 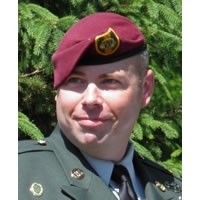 Dave would remain within the Airborne Community for the remainder of his military career. The only pause would be from 2003 until 2006 when he was hand selected by the Military Police Corp Regimental Command Sergeant Major to be assigned as an instructor to both Noncommissioned and Commissioned Officers at Fort Leonard Wood, MO the home of the Military Police Corp.
Dave completed both Airborne and Air Assault school for the Army and eclipsed that by attaining a Master Parachutist Badge as well as completing the U.S. Army Rappel master course. Dave was an inductee to the Sergeant Audie Murphy Club, which was a distinct, leadership award and was a recipient of the Order of the Marchuessee, the highest award bestowed on any individual in the U.S. Army Military Police Corps. David was a veteran of Operation Joint Endeavor, Bosnia-Herzegovinia, Operation Allied Force, Kosovo, Operation Iraqi freedom 06-07, and Operation Iraqi Freedom 09-10. He was awarded with two Bronze Star Medals, three Meritorious Service medals, five Army Commendation Medals, six Army Achievement Medals, The Combat Action Badge, Master Parachutist Badge, and the Army Air Assault Badge. 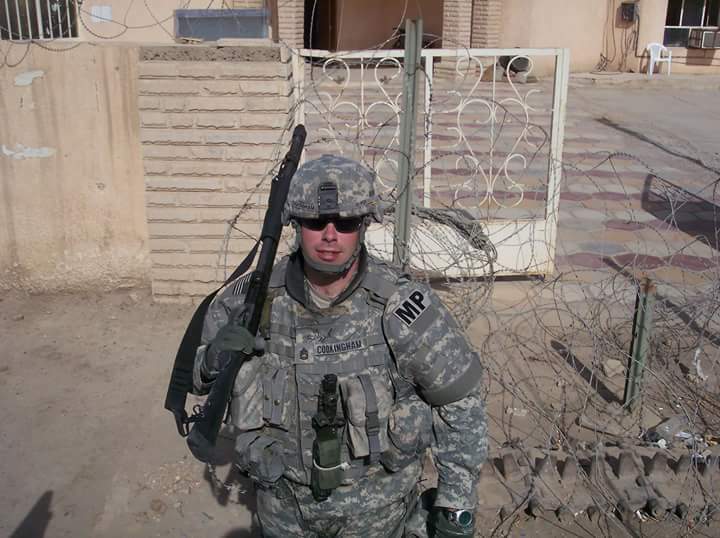 Dave retired from the Military in March of 2012 and completed his Bachelor’s degree in military history while working for the Department of Defense. In addition to his loving parents David (Carla) Cookingham Sr. and Carol (John) Hart, Dave is survived by his children, Jarrett C. Cookingham and Shannon Viola Lynn Cookingham; brother Michael(Lori Milano); Cookingham; sister Megan Ann Cookingham and fiancé Greg; step sisters Casey and Penny Stevens; step brothers Craig (Jen) Stevens and Daniel (Janet) Stevens; his grandmother, Betty Clinch; nephews TroiHunter and Cole; Uncles, Robert (Joanne) Cookingham, Bob (Lynne) Clinch and Richard (Vicki) Cookingham; as well as Aunt Kathy (Paul) Swenson. He was predeceased by step father John Ladoceour. Some of Dave’s friends came up from Fort Bragg, NC, to tell the community of Pine Plains about Dave from their experience and in their own words. This video tells that story. Grizz sorry I was not able to see you off to your final HOO-RAH … Don’t give St. Peter to much trouble when you arrive, even though he might not be a Paratrooper he has had his wings longer than you. Say hello to St. Michael and all the other Paratrooper when you see them. You were and always will be, a brother, a friend and an American Hero. I hadn’t seen you in nearly 4 years, but it feels like yesterday when we were throwing back shots at FLW, remembering how good we use to be! RIP brother! No one I know deserves it more that you. Dave, you are missed. I am a better Soldier and person for having met you. It was an honor to have served with you! Even though I was a leg, you didn’t hold it against me, all the time! Thanks for sharing this video with those of us that couldn’t make it. MSG Cookingham (Grizz) is the epitome of a Noncommissioned Officer, he made us all better Soldiers! RIP JumpMaster! God Bless you Grizz. Now you can watch over us from above. I am grateful that I was able to provide this video and am humbled by the response it has gotten.